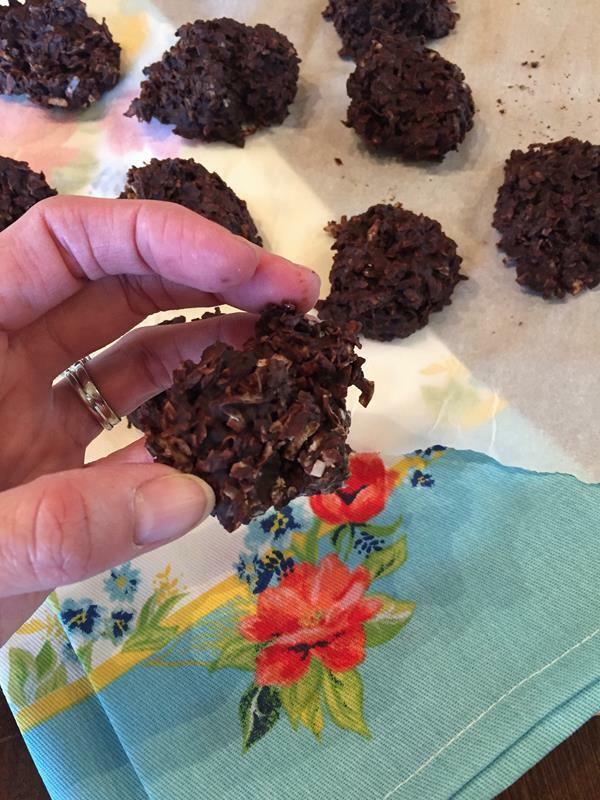 Two ingredients are all you need for these delicious no bake coconut chocolate cookies! 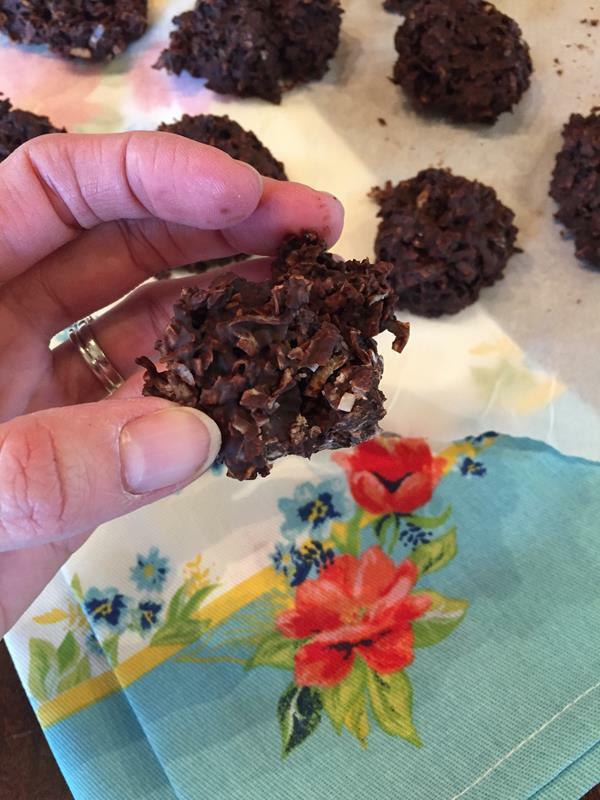 The first time I had these no bake coconut cookies was when a friend brought them to a church dinner. As soon as I tried one I knew that I needed the recipe. I was so surprised to learn that they only contained two ingredients. They were just chocolate and coconut. So easy, but so good. 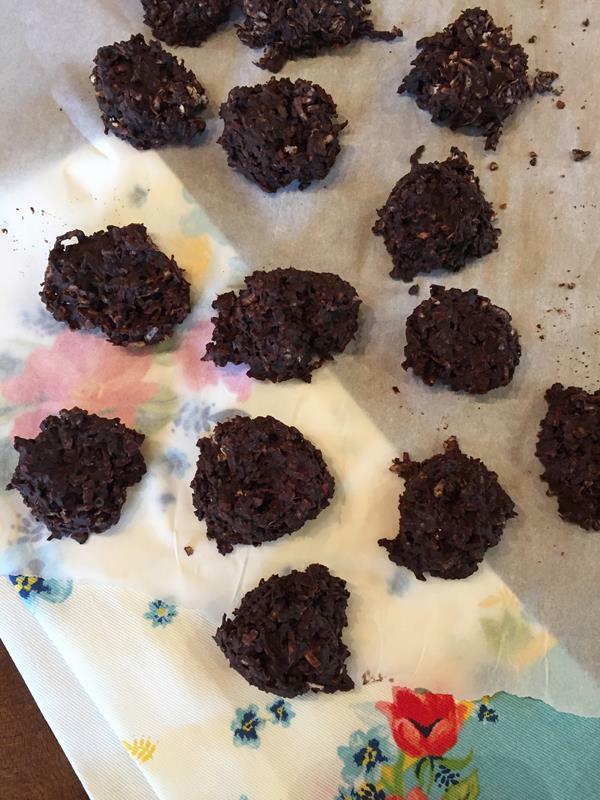 Not only do these cookies only contain two ingredients, they are also no bake. This makes them perfect for a quick and easy dessert. It also makes them perfect for summer when the weather is hot and you need a dessert, but don’t want to turn on your oven. Now I will say that these cookies are not pretty. My kids give me a hard time about how ugly they are every time I make them, but most no bake cookies are not the prettiest. They are however delicious! In a medium bowl, combine toasted coconut and melted chocolate. Stir gently until combined. Press about 1 tablespoon coconut mixture onto a parchment-lined baking sheet. Repeat with remaining mixture. Place in the refrigerator until cookies are set, about 20 minutes. Keep in refrigerator until ready to serve. wow, those look great! and easy! Yum! We are trying this one. Thanks for sharing the recipe! Ohh…yummy. Do yout think that it would adapt with walnuts or another kind of nut in it? @Carleen, I make something like this with just choc and nuts. I think nuts would change the texture of this, if you had nuts, coconuts, and choc.it would not be quite the same. But I am sure it probably taste good.